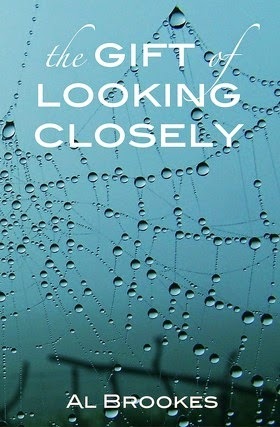 What we thought: The Gift of Looking Closely is an embodiment of what the self-publishing revolution should embrace. It would take a brave editor, in these straitened times, to take a book about assisted suicide, written in the second person, to their marketing department and try to convince them it would sell. But this is not a 'difficult' or 'experimental' book. If you are used to reading literary fiction of any kind, it will only be a few pages after the narrator exhorts you, "You be Claire, then, and I'll watch," before the 'device' of the second person narrative fades into the background and you forget it is there at all. Devastated by the way her terminally-ill mother tricked her, when she was still a child, into helping her commit suicide, Claire has build a shell around herself with small acts of shoplifting. When she is finally caught and sentenced to a period of community service, she finds herself committed to weekly visits to Evie, an elderly woman all-but completely paralysed, but whose mind is still sharp and clear. Evie draws Claire in, making her feel special. But is Evie luring her into making the same terrible decision again, or does she have a different agenda altogether? There is a delicate interplay in the relationship between Claire and Evie, and in their not-quite-equal exchange of secrets. As the seasons shift from spring to summer to autumn, Claire's perceptions alter - or rather yours do, as you are seeing through Claire's eyes! Claire does indeed have 'the gift of looking closely.' Uncomfortable with human connections, and with the bigger picture around her, she focus on tiny details like the pebbles, snailshells and seed pods she collects on her kitchen table. Brookes writing reflects this - using words like tiny brushstrokes to paint a picture of what Claire sees and feels. This is a powerful literary psychological thriller written with great sensitivity. Click here to read my interview with Al Brookes. You'll enjoy this if you like: Before You Go To Sleep by SJ Watson; Notes from an Exhibition by Patrick Gale. Avoid if you dislike: narratives that push the boundaries of how a story can be told; stories about tricky subjects like assisted suicide. Ideal accompaniments: a cold glass of fresh pressed lemonade; a bowl filled with natural objects to contemplate.